Cartoon Network is forgoing a traditional New York advertiser presentation for a second year running, but the kids' network hasn't been idle: new series including offbeat comedy Clarence and Elijah Wood-starring miniseries Over the Garden Wall are a part of the network's 2014-15 slate. The network's next major project is its digital "micro-network," Cartoon Network Anything, which will include new short form—very short-form, like 10-15 seconds—content optimized for mobile viewing. 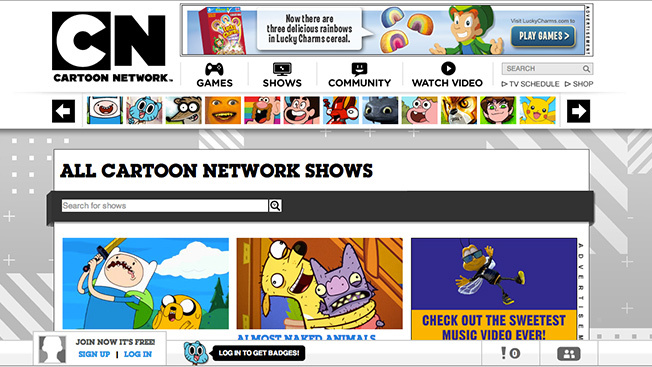 It's where the network will be pushing its ad sales the hardest, from the sound of the statement: Network reps touted "unique sponsorship opportunities for Cartoon Network’s business partners" and called it "a perfect platform for native advertising," which has been a very successful strategy for Adult Swim. "Cartoon Network Anything invites innovative advertising and sponsored content that suits the medium and that will feel organic to the overall micro-network," the statement said. The real juice in the network's new list of green-lights, at least as far as the linear network goes, seems to be in the world of established intellectual property. CN has a new version of the Tom & Jerry Show in the works, along with Wabbit—A Looney Tunes Production (a Bugs Bunny series), Be Cool Scooby-Doo (self-evident), Sonic Boom (following Sonic the Hedgehog), and two shows with toy company tie-ins—Lego's Ninjago: Masters of Spinjitsu and Takara Tomy's Beyraiderz, an anime series that features toys sold in the U.S. by Hasbro. Ninjago, notably, has attracted record ratings for Cartoon in the past. That, by the way, makes a hat trick's worth of Lego shows for Cartoon—the toy company's Mixels and Chima are also returning alongside home-grown oddities like The Amazing World of Gumball, Steven Universe and the incredible and weird Uncle Grandpa.